Something happened to me yesterday that got me thinking about my paradigms. I have had the same wooden desk for almost 30 years. It’s old, but it functions beautifully. I love my desk. I am very clever. I keep my desk organized. Most of the time, I can put my hand on anything on my desk, with my eyes closed. I have optimized it for efficiency, or so I thought. I was organizing it yesterday and picked up my stapler in the process. It’s a nice, professional, robust stapler. It’s shiny. I keep it in the exact, same place. I love my stapler. In 2005, I started going paperless. By 2006, my business and personal document workflows went completely paperless. I have not used my stapler, since. Yet, there she sits, on my desk, shiny because I don’t touch it. It has occupied valuable real-estate on my desk for years and years. I do not feel so clever, now. It sits in my office closet, now. I think I can manage the walk there, every five or six years that I need to staple something. I’ve heard it said that pigs don’t know pigs stink. 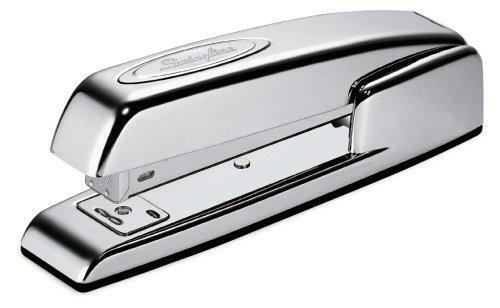 This thing with my stapler got me thinking; What other things am I not aware of? How can I put myself outside of myself to see my situation differently? It’s a new mantra. What are the paradigms in your world? What, in your pressroom, are you not seeing? Can there be different, better ways of doing any of the many things that are done in your pressroom?